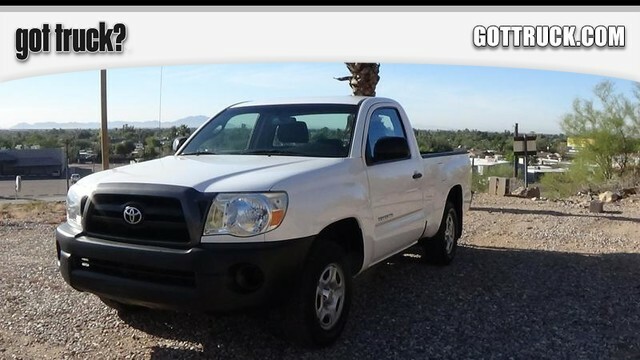 2006 Toyota Tacoma - AUTOMATIC -- WHITE Toyota Tacoma - AUTOMATIC with 86,821 Miles available now! 2006 Toyota Tacoma - AUTOMATIC -- Toyota Tacoma - AUTOMATIC WHITE with 86,821 Miles, for sale! 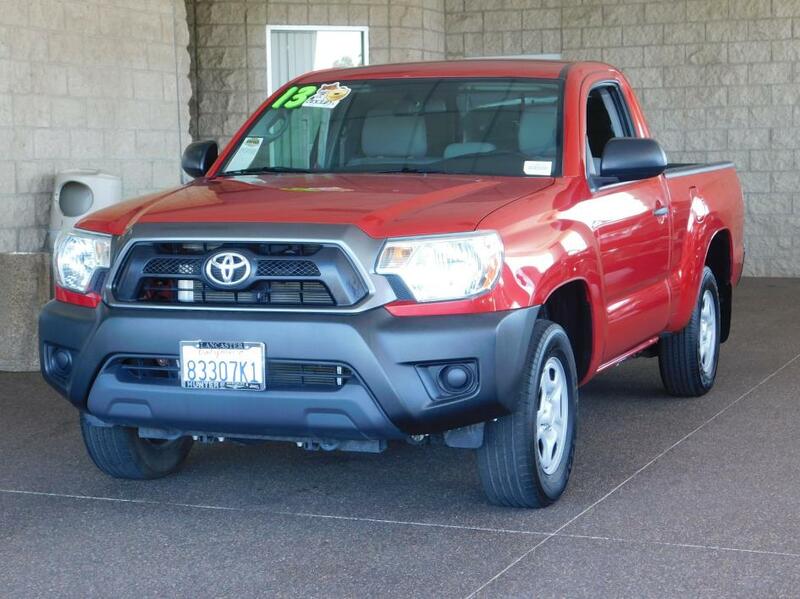 Tacoma Automatic, Automatic, CARFAX 1-Owner. Tacoma trim. FUEL EFFICIENT 24 MPG Hwy/19 MPG City! CD Player, Bluetooth, iPod/MP3 Input. AND MORE! KEY FEATURES INCLUDE iPod/MP3 Input, Bluetooth, CD Player MP3 Player, Electronic Stability Control, Brake Assist, 4-Wheel ABS, Front Disc/Rear Drum Brakes. EXPERTS CONCLUDE explains 'With multiple configurations and ample ability on- and off-road, the 2013 Toyota Tacoma remains one of the top choices among midsize trucks.'. Great Gas Mileage: 24 MPG Hwy. SHOP WITH CONFIDENCE CARFAX 1-Owner OUR OFFERINGS Family owned since 1944. Visit us in the heart of the Lancaster Auto Mall. Pricing analysis performed on 7/18/2016. Fuel economy calculations based on original manufacturer data for trim engine configuration. Please confirm the accuracy of the included equipment by calling us prior to purchase., Daytime Running Lights,Power Steering,Rear Wheel Drive,Cloth Seats,AM/FM Stereo,4-Speed A/T,Brake Assist,iPod/MP3 Input,Steel Wheels,Bluetooth,Driver Air Bag,4 Cylinder Engine,Passenger Air Bag,A/C,Rear Head Air Bag,MP3 Player,Electronic Stability Control,Locking Rear Differential,Side Head Air Bag,4-Wheel ABS,Tire Pressure Monitoring System,Front Disc/Rear Drum Brakes,Tires - Front All-Season,Adjustable Steering Wheel,Fixed Bench Seat,Gasoline Fuel,Passenger Vanity Mirror,Full Size Spare Tire,Auxiliary Pwr Outlet,Tires - Rear All-Season,CD Player CARFAX 1-Owner. Tacoma trim. FUEL EFFICIENT 24 MPG Hwy/19 MPG City! CD Player, Bluetooth, iPod/MP3 Input. AND MORE! KEY FEATURES INCLUDE iPod/MP3 Input, Bluetooth, CD Player MP3 Player, Electronic Stability Control, Brake Assist, 4-Wheel ABS, Front Disc/Rear Drum Brakes. EXPERTS CONCLUDE explains 'With multiple configurations and ample ability on- and off-road, the 2013 Toyota Tacoma remains one of the top choices among midsize trucks.'. Great Gas Mileage: 24 MPG Hwy. SHOP WITH CONFIDENCE CARFAX 1-Owner OUR OFFERINGS Family owned since 1944. Visit us in the heart of the Lancaster Auto Mall. Pricing analysis performed on 7/18/2016. Fuel economy calculations based on original manufacturer data for trim engine configuration. Please confirm the accuracy of the included equipment by calling us prior to purchase.